We are a leading Manufacturer of smart steel building structure, building bridge structure, industrial steel building structure, steel framed building structure, industrial building structures and steel building structure from Pune, India. 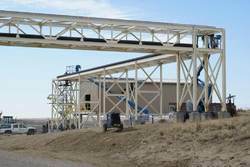 We provides the wide range of customized solutions for the steel buildings for various applications viz. 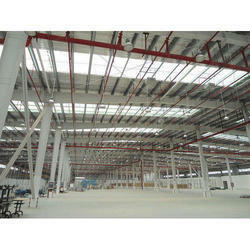 factory buildings, IT building, commercial complex, showroom, metro stations, canopies etc. Smart steel buildings are emerging as the one prominent solution for the IT institutional spaces, commercial malls, food court, resort remote villas. 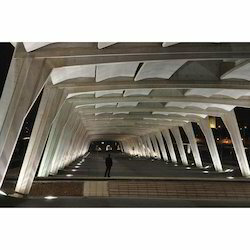 Whether complex design for malls IT buildings to cottages in remote places or buildings in the high seismic zone, these structures could have the seems flexibility of design execution. Steel used is being recyclable, any dismantled structure can always promise a return of a minimum of one-third of the cost. Combining speed, functionality, and durability smart steel build seems to be the solution for commercial and industrial buildings in years ahead. 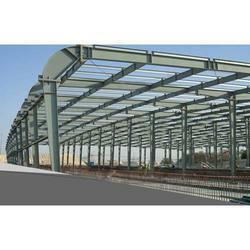 We are instrumental in manufacturing a comprehensive range of Industrial Steel Building Structure. Extensively used in various warehouses, manufacturing units and other industrial places, these sheds comply with international standards. Along with this, our professionals employ advanced machines and utilize quality approved material to manufacture these industrial sheds. Also manufactured as per the requirements of the patrons. 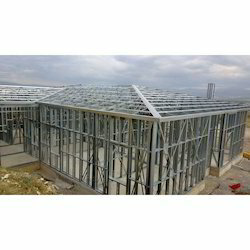 Being the foremost company, we are offering an exclusive array of Steel Framed Buildings Structure. 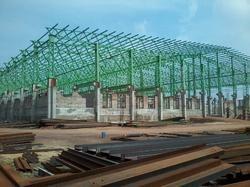 We offer Industrial Building Structures to our clients. 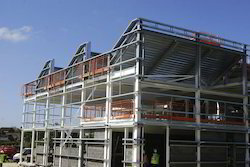 We offer the PEB & structural works on Design & Build basis. With the array of sturdy vendors & contractors, we are capable to handle any scale of projects. We supply a range of Pre-Engineered Building (PEB) solutions and takes single source responsibility for the design, manufacture, shipment, and erection of world-class PEB solutions that can be used for applications in varied segments.